Unique blend of Red Rooibos & traditional gingerbread. All natural ginger root coated with butterscotch and spiced with cinnamon, vanilla and nutmeg evokes home-baked Festive Enchantment. This is one of four flavors that are part of the Festive Medley collection, and so far, I think it’s my favorite (I still haven’t tried the Apple Pie though!) The other two that I’ve tried (Eggnog and Pumpkin Pie) have been tasty and I quite enjoyed them, but, if I had to choose one as my favorite, this one would be it. The red rooibos base seems to unite harmoniously (and almost seamlessly) with the gingerbread flavorings. It is as though someone took a piece of gingerbread and served it to me in liquefied form! The ginger here is not spicy or peppery hot, although it does deliver a comfortable snap of warmth that is similar to what I would experience if I were eating a piece of gingerbread. The ginger flavor develops as I continue to sip my way down to the bottom of my cup, but it never really becomes overwhelmingly hot. It increases the heat ever so slightly while always maintaining a comfortable level and is pleasantly sweet, but not too sweet. The individual flavors here seem to come together to create a powerful, unique flavor; but when I attempt to concentrate on a single flavor I find it rather difficult. It is as though the flavors – individually – are quite weak, but together they stand strong. For example, I can taste the vanilla here, but if I were to try to focus on the vanilla, I would have to say that the vanilla is a rather soft note. The same is true for the cinnamon, nutmeg and butterscotch. For that matter, the same is true of the rooibos base! It has a light nutty flavor that works so well with these flavors and there is very little transition between flavors. This is synergy at its best! All of these flavors are in there, I can taste them, but, they work together so well that they cannot (and should not) be divided. I am really glad I got the opportunity to try this delicious rooibos blend. It is a delightful holiday treat! You can imagine the gingerbread baking in the oven. 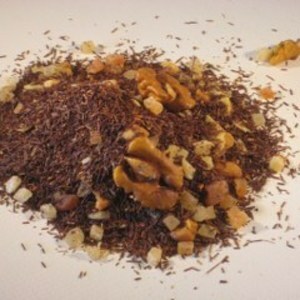 The smooth rooibos base combines witht eh fruit and nuts for totally satisfying cup. 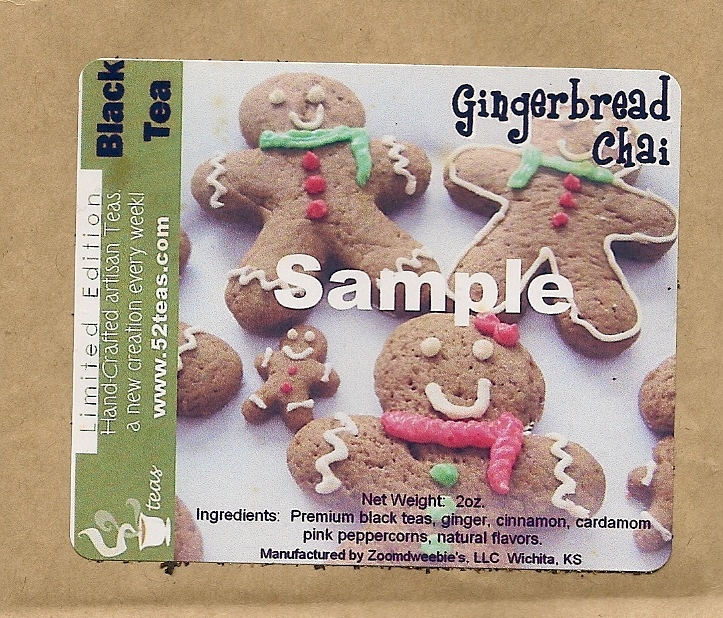 Gingerbread House Tea from Souvia couldn’t smell more like an actual Gingerbread House! The taste is so flavorful and complex and jam-packed with ingredients it’s hard not to comment on it or write an entire review! 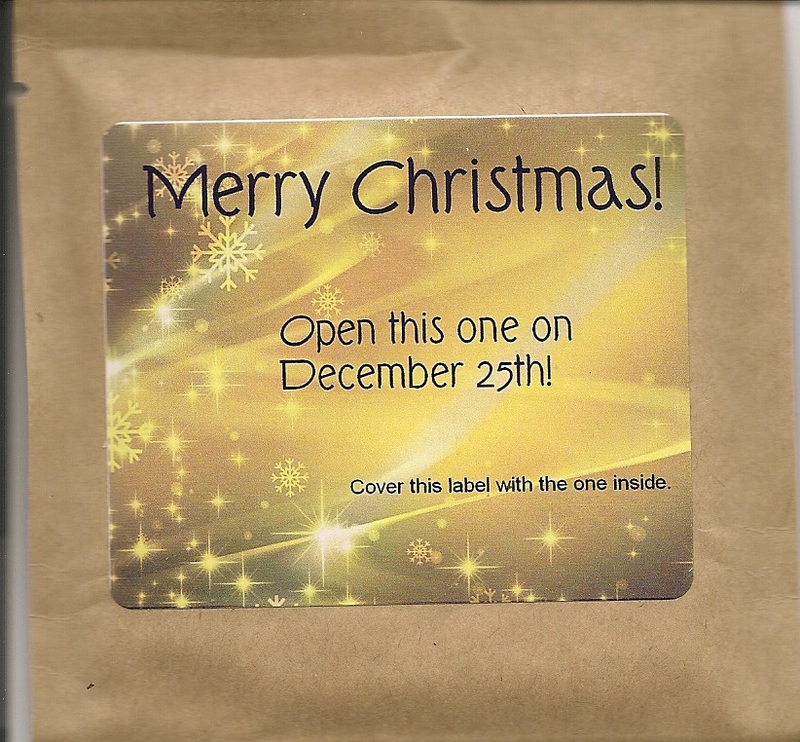 It’s teas and tisane’s like this that make it fun to have a tea review blog! This is incredibly sweet and very sugary! The candied pineapple, mango, and papaya are going NUTS even more than the actual NUTS! Their are HONKin’ HUGE Walnut halves in there! (And YES…”Honkin’ Huge” is an official measurement! At least in my book it is!) And there are good sized chunks of the other nuts too! The Coconut chips are fun and are about the same flavor level as the nuts. 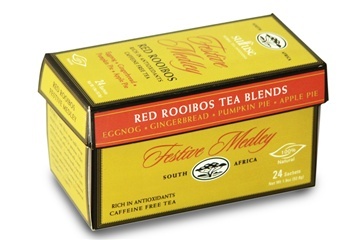 The Rooibos takes a back seat to everything else that is going on here and that is ok with me! I’ve said it before and I will say it again…I love interesting teas/tisanes and this is certainly one of them! Whether you like it or not – at least it’s interesting! Eventho this is intensely sweet and sugary without even adding sugar to it – I like it! The aftertaste is a little funky but I can get past that. Thumbs up for creativity! This is a FUN Tisane! Not to mention memorable and something you will surely talk about this holiday season!